Market testing occurs when an organisation evaluates the competitive provision of goods and services. The purpose may be to lower costs through competitive tender processes, or to raise internal efficiency through benchmarking against potential external providers. Outsourcing occurs when the organisation decides that a service or activity previously provided by internal resources should be sourced from an external provider. Having made a decision to outsource a function or activity, it is good practice to apply robust business management to ensure the initiative is successful. This usually includes integrating risk management into the outsourcing process, marketing the initiative effectively, and planning and managing the changes that inevitably follow. Broadleaf has worked closely with clients in planning and marketing outsourcing proposals and initiatives and facilitating client organisations through the change management process. Broadleaf regularly undertakes qualitative and quantitative risk assessments and associated cost benefit analyses of outsourcing initiatives for its clients. Quantitative and qualitative risk assessments are important at every stage of outsourcing, to assist management in identifying and analysing risks and opportunities and implementing appropriate risk treatment strategies. Cost benefit analyses are important in the strategic planning stage, to understand and balance the costs and benefits and make informed decisions on whether to proceed or not with an initiative. Together, risk assessments and cost benefit analyses guide the risk allocation process inherent in the contracting strategy and the allocation of resources for outsourcing implementation. Much of our risk management work has involved the application of processes compatible with the International Standard ISO 31000 Risk management -- Principles and guidelines, adapted to suit the context of a particular stage in the outsourcing process. 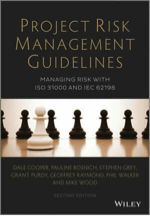 A selection of practical techniques readily adaptable to outsourcing is described in our book, Project Risk Management Guidelines: Managing Risk with ISO 31000 and IEC 62198, published by John Wiley & Sons in 2014. Broadleaf also led the way in the development of the outsourcing handbook from Standards Australia and Standards New Zealand, with major contributions from Dennis Goodwin (formerly of Broadleaf but now retired) and Dr Dale Cooper: Dennis Goodwin, Dale Cooper, Jean Cross, Kevin Knight and Tom Walker, HB 240:2004 Guidelines for managing risk in outsourcing utilising the AS/NZS 4360:2004 process. 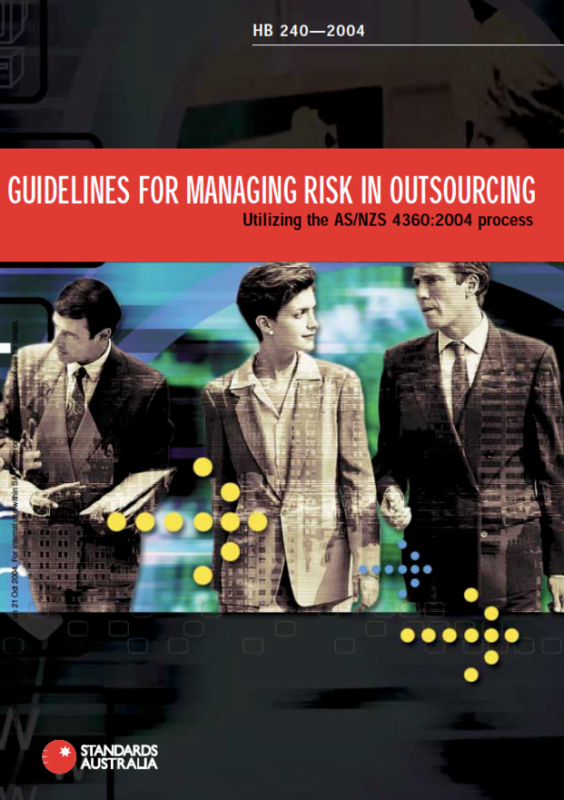 These guidelines provide a balanced view on the advantages and disadvantages of outsourcing, demonstrate how risk management can be integrated effectively into the outsourcing process and identify issues that need to be addressed when proceeding with an outsourcing initiative. Analysis of the requirements for new management skills in a government agency considering outsourcing strategic asset and property management functions.